This is an IRISH Brand - Yay! Plumps and Hydrates Dull Dry Skin, Leaving Your Skin Instantly Glowing and Firmer! Pestle & Mortar Pure Hyaluronic Serum is the ultimate multitasker for your skin and is suitable for all skin types. This smooth concentrate targets fine lines, dullness and dehydration restoring a healthy glow, plumpness and radiance. Pestle & Mortar Pure Hyaluronic Serum is a lightweight fragrance free formula which soaks into your skin in a matter of seconds leaving it velvety soft. Hyaluronic Acid (HA), also known as hyaluronan or hyaluronate, is a carbohydrate occurring naturally throughout the human body. Its consistency and tissue – friendliness allows it to be beneficial in skincare products as an excellent moisturizer. Because HA is one of the most hydrophilic (water – loving) molecules in nature with numerous benefits for the human body it can be described as “nature’s moisturizer”. Although Hyaluronic Acid (HA) can be found naturally in almost every cell in the body, it is found in the greatest concentrations in the skin tissue. Almost 50% of the bodies HA is found here. 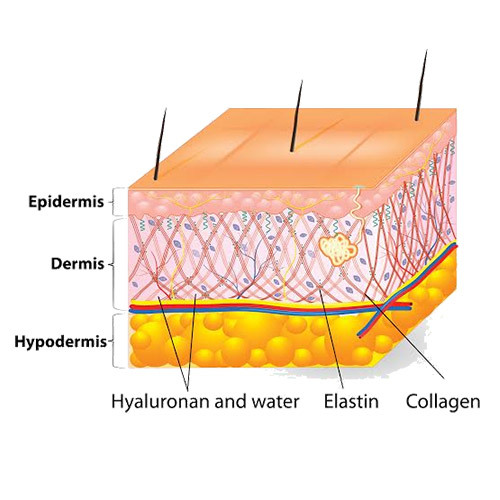 It is found in both the deep underlying dermal areas as well as the visible epidermal top layers. Young skin is smooth and elastic and contains large amounts of HA that helps keep the skin stay young and healthy. The HA provides continuous moisture to the skin by binding up to 1000 times its weight in water. With age, the ability of the skin to produce HA decreases. Simply smooth 2 to 4 drops of Pestle & Mortar Pure Hyaluronic Serum over cleansed toned face before applying other creams. Use AM and PM for a more youthful, radiant look. Pestle & Mortar Pure Hyaluronic Serum is 100% free of animal derived raw materials and organic solvent remnants, paraben free, fragrance free and not tested on animals.